Losing Alejandro Santiago « "TeresaBruceBooks"
Artists have an advantage when they die. Their work, particularly if they’re successful, preserves their legacy. They don’t have to rely on a loved one dragging out a family photo album to remind grandchildren of their existence. 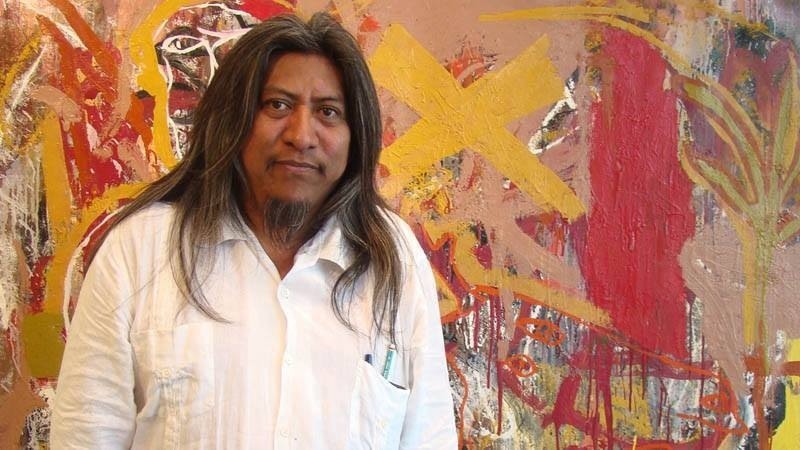 I know this and yet I’m still deeply saddened by the passing yesterday of my favorite artist, the Oaxacan painter and sculptor Alejandro Santiago. Longtime readers of my blogs will remember my unsuccessful pilgrammage to find the depopulated village he immortalized in his Migrante project, and my elation at winning best screenplay at the Oaxacan International Film Festival because the prize was a statue by Santiago.